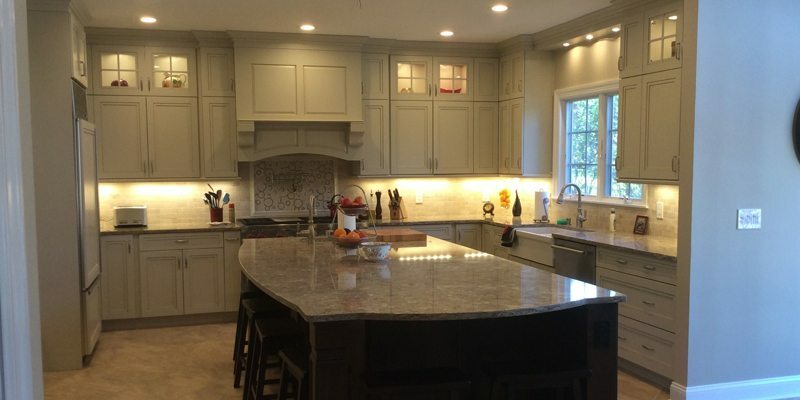 In just five weeks our team completely remodeled this Basking Ridge NJ home’s kitchen. Several features, such as a large island, a remodeled pantry closet, and an artistic tile accent drastically updated this space. 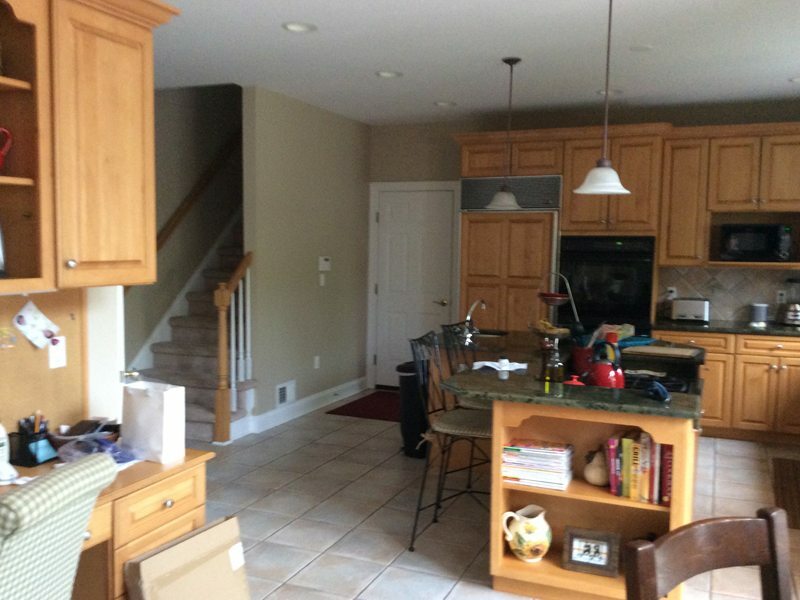 To begin the project, the crew removed everything from the existing kitchen. Our team worked carefully with the homeowners to install every special feature they desired for their home. This included installing a brand new pot filler behind the stove for cooking convenience. 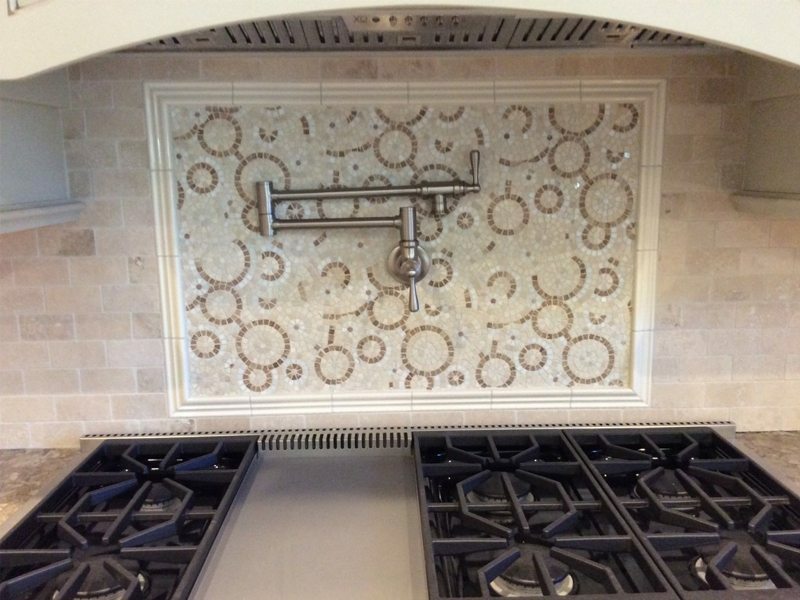 A special, artistic tile accent was installed behind the stove, giving the room a unique detail and stylish flair. The kitchen’s existing pantry was disassembled and redesigned into a brand new storage hutch. 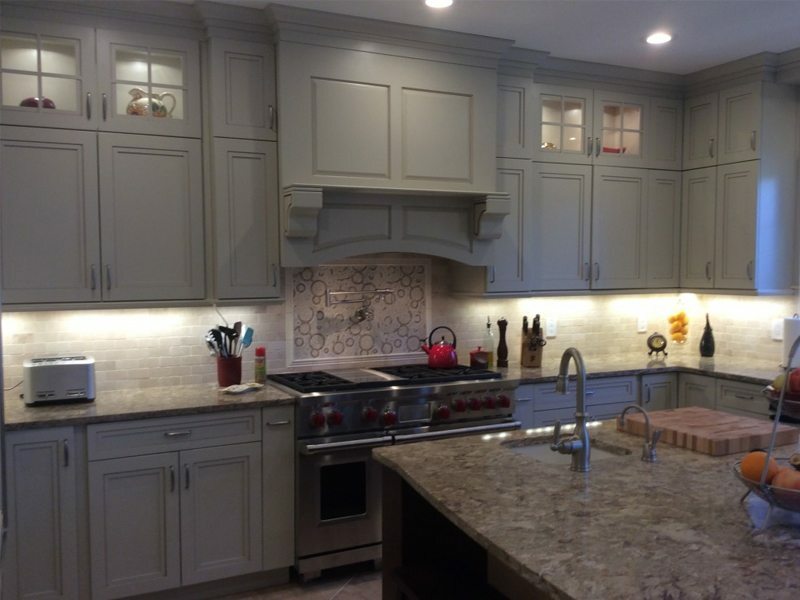 A new butler’s pantry was designed and built by our team at Monk’s Home Improvements. New cabinetry and countertops were brought in to match. A brand new island was also installed with a new sink. The island was comprised of a single piece of quartz, meaning there were no seams anywhere. Our carpentry team also installed new tiered crown molding. Several other features were installed to make this kitchen top of the line. New under counter lighting, as well as lights inside of the cabinets was installed. A built in microwave was installed, along with a built in ice maker with a cabinet cover. 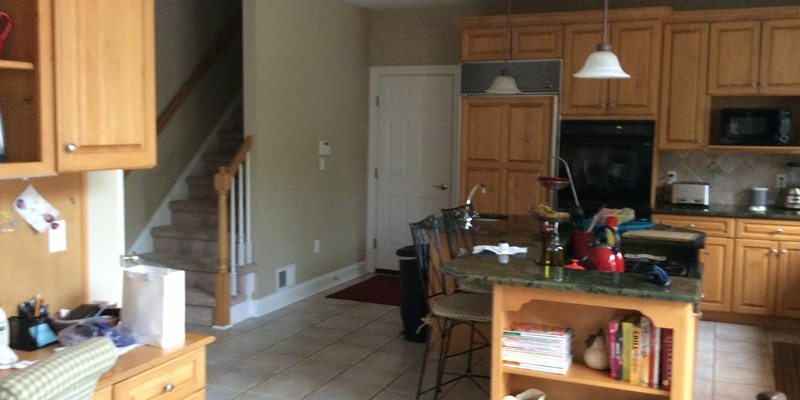 After five weeks of work our team at Monk’s had completed this kitchen renovation. 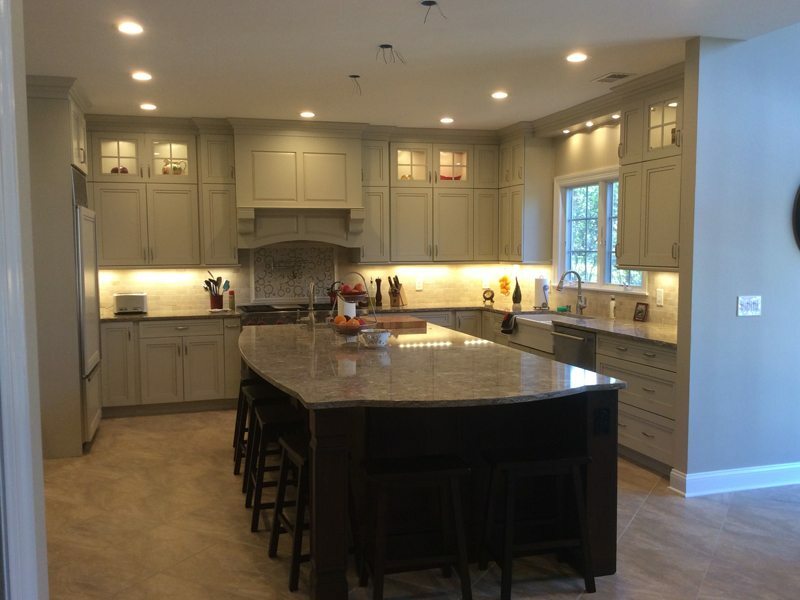 Whether you’re looking for a small update or a complete kitchen renovation, the design and remodeling experts at Monk’s have the experience to get it done on time and on budget. Call us at 973-635-7900 to schedule your free estimate or book an appointment online.